Watches are valuable and popular accessories that withstood the test of time. It isn’t surprising that over the years, there have been a lot of improvements included that made it much more sought after. With this popularity, however, there are still a lot of incidences that watches may have during its lifetime that result in scratches. Fortunately, small dents can still get fixed at home with these simple steps, the right materials, and great care throughout the cleaning process. Though larger dents require professional help, the smaller and more common ones can be remedied by this guide. There are various methods you can use to remove light scratches from your watch. Use these with caution as some are not effective on certain surfaces as other methods. The most common way of removing scratches is by using a jeweler’s cloth. These are special kinds of fabric that are pre-treated by chemicals to guide in the removal of scratches over certain metals. 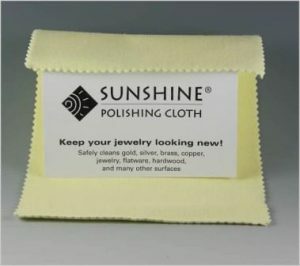 The cloth is effective against fine scratches done on the watch and is effective against scratches inflicted on polished and brushed stainless steel watches. Gently rub it in a circular motion over the affected area in cycles so as to know if you should continue or when you should stop. However, tread carefully as this might add shine to areas where there shouldn’t be. If this happens, try to rub steel wool over it to restore the brushed look on the stainless steel. Another type of scratch-removing method, the use of fiberglass brush cleans heavier scratches inflicted on watches. They are hand held rotary tools that have removable fiber tips that can be inserted and removed at will. This is generally effective on stainless steel watches. Use the brush lightly over the affected area and consistently rub along lightly until the dent is removed. Avoid overdoing it as stronger strokes or power would create uneven surfaces on the watch. Always be careful when using this method and use gloves and masks as there may be fine particles of metal that get on you. 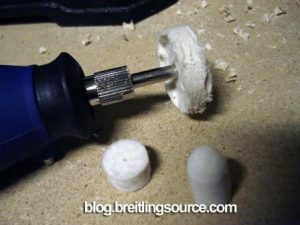 Besides a fiberglass brush, you may use a rotary tool that uses replaceable cotton to remove dents and polish them if needed. 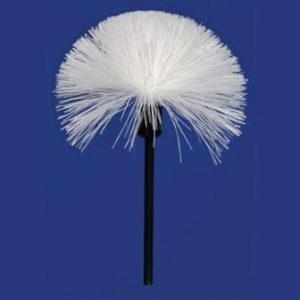 There method is similar to the fiberglass brush except that there are certain chemicals you may use to either remove dents or polish the steel. This may be used on stainless steel watches. Apply the necessary chemical or polishing compounds (varies depending on what type of material your watch is made up of) on the cotton by hovering the tool over it. Carefully use the tool on the scratched area of the watch by cycles to constantly check if the scratch is removed or not yet. Always be careful when using this method and use safety gears such as masks and gloves to avoid inhaling fumes from the process. Although these are tried and true methods for light scratches, deeper scratches may need to be checked by professionals in order to conduct the necessary measures to restore the watch to its former glory. Always remember that great care should always be taken in order to avoid such situations. Watch this video for a step-by-step tutorial about how to remove scratches on your watch! How To Remove Cyclops From Your Watch? How To Get Moisture Out Of Your Watch?